Part 3 of a series explaining how to convert gauge in knitting patterns. 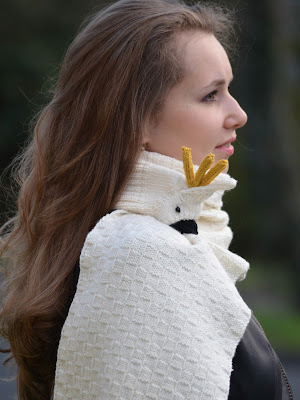 The adjustment of the sleeve increases and decreases need to be carefully reviewed as the rounding off of fractional numbers in the original source pattern can lead to some odd shaping. Patterns are written to be easily interpreted across multiple sizes, in ways not necessarily consistent when you work with only a single size. When doing the calculations for the decreases of an underarm or a neckline, check your results by validating your numbers on both the individual decrease steps, as well as the sum of the decreases added together. Adjust the decreases accordingly. Sleeve increases can be more easily and accurately calculated using knitters’ graph paper. Knitters’ graph paper accurately reflects stitch and row gauges as rectangles rather than squares in the manner of regular graph paper. A more accurate angle is calculated using this paper, even if the decreases are not evenly spaced, as they are when calculated mathematically. Graphing also offers the option of creating a contoured sleeve shape which more closely aligns with arm shape as opposed to the often used simple straight angle. Round any fractional numbers off to the nearest whole number. End the increases at minimum an inch before the rows are completed. To determine the cast on, multiply the cuff measurement by the stitch gauge. Example: 9 inches x 4.5 stitches per inch = 40.5 stitches. Adjust this number if a stitch pattern has to be taken into consideration and if adding selvage stitches for seaming. 6 stitches x 6 repeats = 36 + 2 selvage stitches = 38. 6 stitches x 7 repeats = 42 + 2 selvage stitches = 44. Choose the stitch number best for the project. Calculate the wider top part of the sleeve. 15 inches x 4.5 stitches = 67.5 stitches. This number should match the first as being either odd or even. In this case the closest even number is 68. The numbers should match, as all increases will be done in pairs. Using the desired sleeve length measurement, multiply the length by row gauge. Example: 16 inches x 6 rows = 96. (Don’t forget to adjust the measurement if there is a band to take into consideration). The number of stitches to increase is the difference between the top numbers and the bottom: 68 – 38 = 30. Divide the number in half since we will be making an increase at each end of the needle. The result means we need to increase 15 times. On the graph paper, draw in a short straight section at the top where no increases will be worked. Draw in the diagonal line and mark in the 15 stair steps increases. Remember the increases are normally worked on right sides only so work in two row increments. If the garment being converting has picked up bands, you will be able to fudge factor the stitch counts provided. If you made length adjustments, it is better to use stitch pick up rates. The stitch pickup rate is a stitch for a stitch on horizontals; three stitches for every four rows on vertical edges; one stitch for every cast off step on curves and diagonals. Some diagonals advise a pickup for every row depending on the angle. The closer the angle moves to the horizontal the higher the number of stitches required. These ratios assume a standard stitch to row gauge ratio and are approximate. Often knitters work towards stitch gauge and completely ignore row gauge while swatching. This can lead to abnormal ratios and will impact the band results. It is for this reason some references quote the ratio as five stitches for every seven rows or two stitches for every three rows. Some change the ratio according to the stitch gauge and use the two to three ratio for gauges less than four stitches per inch. The ratios are based on stocking stitch. For garter stitch the ratio is one pickup for every ridge (two rows). On rare occasions, a pattern might change the ratio as the band pickups cross over a different main body stitch pattern. Yarn requirements can be recalculated by comparing your gauge to the original gauge. There are three error factors with this calculation. The first is created by the individual knitter. Since the knitter is unable to swatch with the original yarn there is no way to know if the stitch and row gauge ratio would have matched the gauge of the original yarn. The second error factor comes from the standard industry practice of increasing yarn amounts by 10 to 20% to account for row gauge differences. The third error factor is caused by the yardage being calculated to match the numbers for the skein or ball yardage of the original yarn. Designers always round up in this situation. Use a similar existing pattern for the yarn substitute or a generic yardage chart whenever possible as a comparative verification. Original Gauge (the pattern) Worsted: 18 stitches, 24 rows = 4 inches. Your yardage is the unknown number; apply the fudge factor. Example 2: Converting to Worsted weight yarn (Yarn Weight Number 4) from DK (Yarn Weight Number 3). Your Gauge in Worsted: 18 stitches, 24 rows = 4 inches. Original Gauge (the pattern) DK: 22 stitches, 28 rows = 4 inches. I would recommend you photocopy your pattern, highlight all the numbers pertinent to your size then go through applying your conversion ratio to each number. Use the schematic if your pattern has one, as a check for each of your numbers, by multiplying your gauge by the measurements provided. To be sure the garment will fit the way you envision it, if possible, measure a similar sweater which fits well and compare the measurements to those you are about to knit. The amount of ease (the difference between your measurements and the garments measurements) is a very personal choice. There is no guarantee the original pattern included the amount of ease you would have been happy with. It is often best to stay within the same fiber type when choosing a different yarn. The properties of, for example, cotton versus wool vary greatly, so look carefully at your chosen design when substituting. A heavy cabled garment may work well in wool but is far too heavy in cotton. A straightforward stocking stitch design will usually work in both fibers. Some stitches easily produced in a wool with good elasticity may be difficult to work in inelastic linen or hemp. Some fibers like silk or rayon have drape and will grow in length. Experience is the best teacher in these cases. When I was first knitting I was rarely able to match gauge in patterns. Even if I did get it I wasn't always happy with the resulting fabric. It the fabric was right my row gauge would be off. It was very frustrating to a novice knitter! However I will say this challenge lead to me being a much more proficient knitter. When I got to the point of designing for myself these conversions had taught me a lot about the mechanics of pattern design. Continuing on with my topic from last week. I'm going to work with specific examples. To keep things simple, I'm going to use whole numbers wherever I can. You may be dealing with fractions so you will need a calculator to be as accurate as possible. Example 1: Converting to DK (Yarn Weight Number 3) from Worsted weight yarn (Yarn Weight Number 4). Both yarns are 100% wool with good stitch definition. The swatch shows the stitch pattern is attractive when worked in a smaller scale. DK is a lighter weight yarn so less ease is required. To achieve the same look of the original garment, when less ease is required, it means it is safe to round down, when adjusting fractional numbers. Your Gauge DK: 22 stitches, 28 rows = 4 inches. Example 2: Converting to Worsted weight yarn (Yarn Weight Number 4) from DK (Yarn Weight Number 3). Both yarns are 100% wool with good stitch definition. The swatch shows the stitch pattern is attractive when worked in a larger scale. Worsted is a heavier weight yarn so more ease is required. To achieve the same look of the original garment, when more ease required, it means it is safe to round up, when adjusting fractional numbers. Continuing with Example 2, to convert the pattern, work through it section by section. Everywhere the instructions give a stitch number, multiply the number by the Fudge Factor. If the pattern instructions are to cast on 110 stitches, multiply 110 x .82 the result is 90 stitches for the cast on. The conversion can be to a higher or lower stitch number, it is simply a comparison ratio of achieved gauge to the original gauge. Next, do the same thing with the row gauge. Divide your row gauge by the pattern row gauge to get the conversion ratio. In this example Rows 24 ÷ 28 = .86. Everywhere the pattern tells you to knit rows you multiply by the fudge factor. In many cases, the pattern will give you a measurement instead of a number so no calculations are required. The more complex the original design, the more complicated the conversion process will be. If you are converting a pattern with multiple elements, do consider how the changes will impact the overall design. Changes of more than one or two stitches or rows per inch will affect panel widths and the size of motifs in a significant way. If you are reproducing an intarsia or fair isle design, you must consider the changes in motif size. Each will be larger or smaller according to your conversion ratio and, the garment will look very different from the original. Designs with a single all over stitch pattern will not be impacted. However you should review band widths and lengths for potential adjustment. Once you have your new stitch numbers calculated they may require adjustment to match up with stitch multiples in the pattern. Your gauge in Worsted requires a 90 stitch cast on. Original pattern gauge in DK required a 110 stitch cast on. 6 x 15 = 90 add 2 selvedge stitches equals a cast on of 92 stitches. Using a heavier yarn means more ease is required therefore I would recommend taking the stitch numbers up to correct for stitch multiples in this situation. Part 3 is here. I'll discuss sleeve adjustments and how to recalculate yarn amounts. This topic comes up a lot so I'm running an updated version of a three part series from the past. Parts 2 and 3 get much more specific with the math conversions required. This post helps you to understand the thought process behind the number crunching. When I worked in my local yarn shop, we often had customers coming to us for help in a specific situation. The knitter wanted to use a pattern and work in a gauge different to the one the pattern was written for. There were various reasons for this. Sometimes the knitter wanted to use yarn in their stash of a different weight. Sometimes the yarn in the pattern was no longer available. Sometimes they loved a pattern and hated the yarn it showcased. Sometimes they just couldn't match the gauge in the suggested yarn but still wanted to use it. 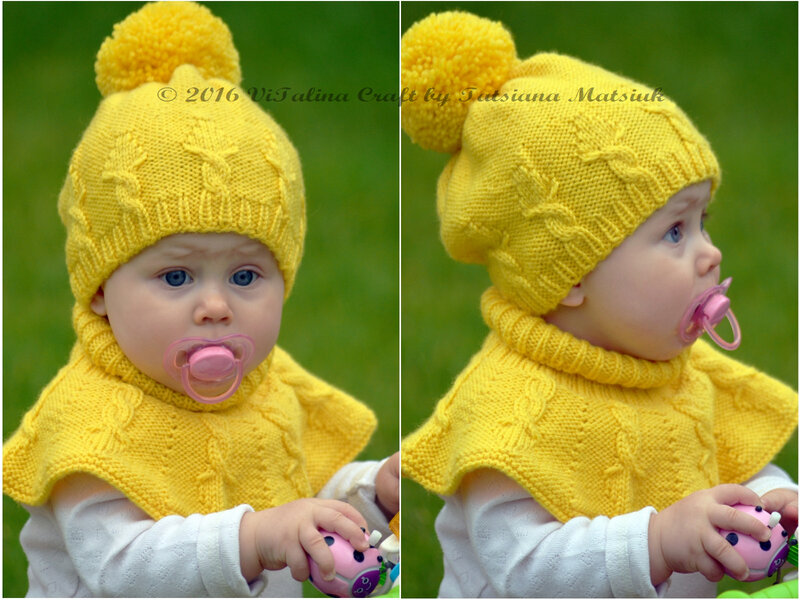 Most experienced knitters can easily rework the numbers on basic patterns that include good schematics. Some just knit a different size if their gauge is slightly off the pattern gauge. They do this by calculating their stitch gauge per inch multiplied by the width measurement desired and then they choose the size closest to the measurement they need. They use the length measurements of the size they really want. However in a yarn shop we see customers bringing in vintage patterns and patterns that do not include a schematic. Occasionally we see a pattern with schematics with only bare bones measurements that don't give enough detail for conversion. Periodically we will be presented with a pattern that has a unique form of construction and no schematic at all. 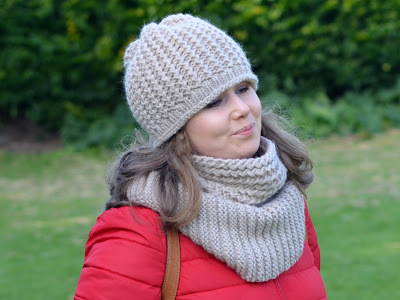 Other knitters run into challenges when they get to areas of shaping such as armholes, sleeve caps and necklines. Bands and other sections where the knitting has intersections of stitches and rows can also prove to be problematic. Knitters are looking for simple advice; in a short and sweet format. 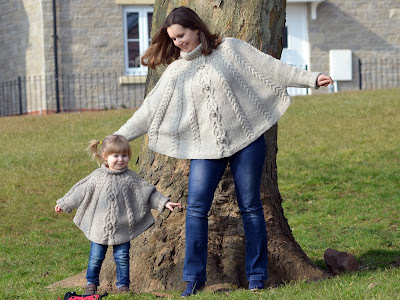 My peers and I all enjoyed assisting knitters with this but we all took a cautious approach as the process to make the conversions I'll review is not difficult, but it does require careful consideration when applied to specific patterns. Details need to be considered which can't be covered in a short surface level examination of the pattern. I'd like to mention here that complex and difficult are two very different things. Complex processes can be broken down into a set of very simple actions. Very experienced knitters often perform these steps so quickly, it appears magic is in play to the novice knitter. It is important to determine just what feature in the target pattern is calling to you. This is necessary to ensure you reproduce that feature in a manner consistent with the original. If it is the stitch pattern, a swatch in your chosen yarn will tell you if it is still as appealing in a smaller or larger format. More importantly, will the stitch pattern show in a yarn of a different colour or texture? Remember, your substitution can yield better results than the original yarn a pattern has been executed in. Yarns for patterns are chosen for a variety of reasons which include editorial considerations, availability and marketing. It is entirely possible you will choose a yarn more appropriate to the project or for your preferences. Ease considerations are critical to successful garments so they need to be evaluated carefully. The concept of ease refers to the additional fabric included above the body measurements to allow for comfort and movement. It is the space between the garment and your body. It is also a design feature which varies according to the fashion of the current time and can change greatly according to personal preference. Ease is a ratio so the amount required increases with sizing. A large man’s garment will therefore require perhaps six inches of ease as compared to three inches in a child’s garment in the same yarn and silhouette. The weight of the fabric is crucial when determining the amount of ease required. The thicker and or stiffer the fabric, the more ease required. A soft fabric with drape will flatter with a small amount of ease while a thick knit will require a greater amount of ease to flatter the body. Garments meant to be worn on top of another require more ease for comfort. When we knit, we create fabric. We create this fabric stitch by stitch and row by row. We call the mathematics behind the fabric the gauge, and, as we all know, if we ignore gauge we won’t be able to produce the garment in our pattern. There is however, a way of substituting yarns of a different gauge into a given design. It is referred to as the “conversion ratio” or “fudge factor". As always, you must start with an accurate gauge swatch. Many knitters get stitch gauge and then are unable to match row gauge. If the fabric created is acceptable, understanding the variation can help the knitter make the necessary adjustments. It is possible to use the fudge factor for only row gauge adjustments and correct the shaping differences changes in row gauge create. I remember how to calculate the ratio with a knitter’s mnemonic of “Y - O”. It’s a short form familiar to knitters and reinterpreted in this application as “your” gauge divided by the “original” gauge. · Consider the impact fibre changes will have on the end result. · Think about ease requirements, are they impacted by the yarn substitution? · Find your gauge and the gauge used in the published pattern. · Calculate the two conversion ratios, stitch and row. The mnemonic is Y - O, your gauge divided by the original gauge. · Convert the rows and stitches in the published pattern to the rows and stitches you need to knit. Round off fractional numbers. · Analyze stitch repeats and re balance numbers accordingly. · Verify the accuracy of curves and angles using knitter's graph paper. You can find Tatsiana here and here on Ravelry. My biggest inspirations are my two lovely daughters. Most of my designs are created especially for them. I really love seeing them wearing beautiful and bright knitted hats, dresses and cardigans made with love for them. They enjoy modelling my knitting too. and Cable Crown Hat and Cowl Set. Each design came from the phrase “every little girl is mum’s princess”. So I decided to create couple of hats with an imitation of a princess crown. While I was knitting swatches I made up about five different cables for it and then decided to use the two most appealing ones. I love knitting lace stitches for summer garments and cables for winter ones. I also like learning new techniques and using them in my new designs. So I guess, I don’t have a favourite one. Absolutely! I love seeing other people knitting and following their creative way. 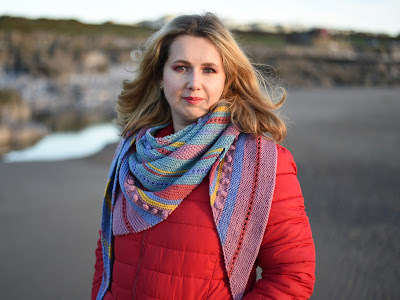 Particularly, for those of them who I remember started as hobbyist and over years of their knitting journey became popular knitwear designer, teacher or yarn dyer. I love reading their stories of success, they inspire me to follow my own way further, improve my skills and discover new techniques. For example, I used to ignore variegated and melange yarn for many years and preferred a solid colours yarn for my designs. I wasn’t good in multi-colour knitting too. But after discovering indie yarn dyes and some designers I’ve started making some steps in this direction. My Colour Fantasy shawl is my first attempt in combining colours and yarn textures (The photo is at the top of this post). You can see another in the Gear Cardigan, which I designed for my husband. I always knit my first sample by myself. Sometimes it takes number of re-knits to get the proper result and good fit. Sometimes I even change the yarn to a more suitable one as it can look good in stitch swatch but doesn’t look good in the finished item. After the first sample is knitted and I’m happy with it I write the pattern and then depending on the design I can knit a second sample by myself or open the test knit on Ravelry. I use two groups, Free Pattern Testers and Testing pool for my test knits and my goal is the have at least two test knitters per size. I also work with Mary Maxim Yarn Company closely. 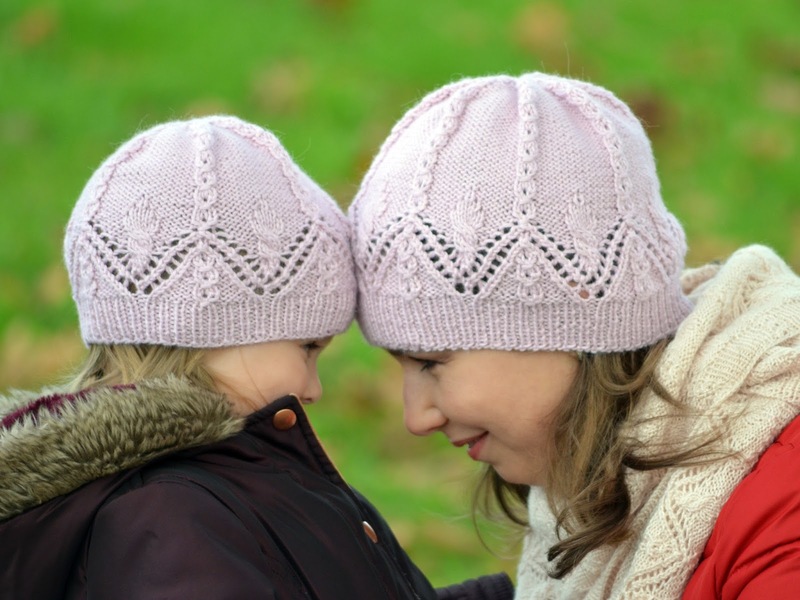 Some of my patterns are sold in their knitting kits. 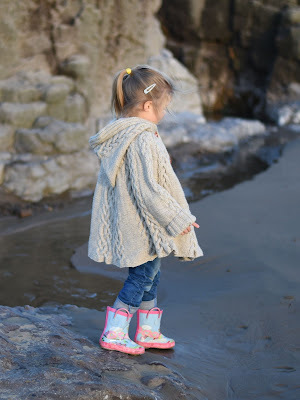 Before creating kits their test knitters also test my patterns. I have a list of projects I plan to make this year and plan of steps to follow but my project list can be changed depending on inspiration and new ideas which I need to try “right now” so I don’t think I can call this plan as “a formal business plan”. No, I don’t have a mentor but I have a very supportive husband who helps me through my knitting journey and helps me to go ahead if I’m stuck. Yes, all my patterns are tech edited. This is most difficult moment in my self-career. As a mom of two little girls (two and four years old) I need to give a lot of my attention and time to my kids and family. So I have to be very organized. Most of my designer work is done while they are sleeping. Luckily they love playing together so sometimes I can answer urgent emails while they are busy with their toys and each other. Part of my work, such as taking photos can be done while we are walking around and having fun as a family. My girls are my best models and my husband is a great photographer for my designs so we can do some unplanned photo shooting. I'm open to constructive criticism and appreciate the knitter’s feedback if it is expressed in a polite manner. I ignore rude people and do not go down to their level of communication. 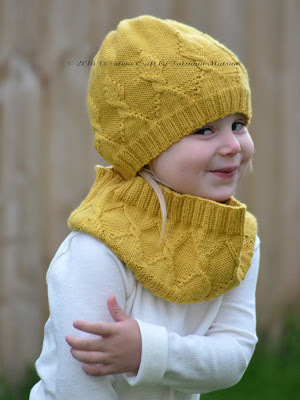 I published my first paid pattern in September 2013. Now I have over 100 designs. I started writing my patterns as a hobby before I left my job. It was a good idea to have extra money to buy the yarn and other craft suppliers. It took me about four years to allow myself to be self-employed knitwear designer while enjoying looking after my kids and family. I can’t say that I’ve already reached the desired level of income from my knitting but it is a tangible part of our family income. Especially because as “work from home mama” I can save on childcare costs too. Follow your dream and start taking some steps in this direction. You would never know the result if you wouldn’t try. But be ready to work hard and learn a lot of new subjects and aspects of a self-career. A knitting career is not just the fun of knitting and creating. It also involves self-promotion, communication with different people, customer support, luck of free time, accounting and etc. There are a lot of plans and projects ahead. First of all, I need to finish writing patterns for some of my finished projects. I’ve got about six completed projects so far, a couple on my needles and so many in my draft book. I plan to learn couple of new techniques for my next projects, start my Ravelry and FB groups. I also have life changing event coming soon which, I’m sure, will make a big impact not just in my private life but in my knitting career too. But I’ll keep it in secret for a while.